Both Etceteria and Miscellania are small islands located northwest of Rellekka and east of the Fremennik Isles. Both islands contain a small city, and they are connected by a bridge. The cities have been feuding with each other for ages, but you may be able to help them during the Throne of Miscellania and Royal Trouble quests. 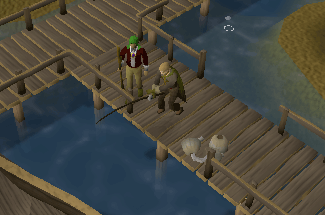 For most methods, when you arrive in Rellekka, you will need to talk to the sailor found in the docks to the north, then get a free ride to Miscellania. Walk north from Camelot or Seers' Village to Rellekka and talk to the sailor and get a free ride to Miscellania. 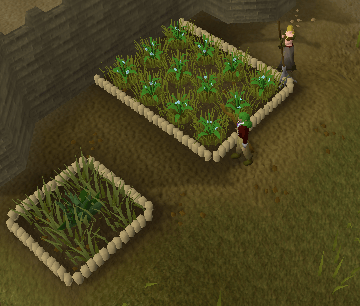 Firstly, you will need to have completed the Fremennik Trials Quest to obtain an enchanted lyre. When activated, it will transport you to Rellekka where you can get a ride to Miscellania. In order to use this method, you need to have completed Lunar Diplomacy and must have at least 69 Magic. 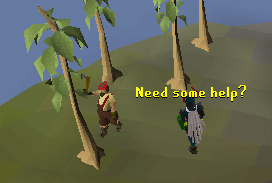 If you have the requirements, cast Moon Clan Teleport to arrive at Lunar Isle, then talk to a person on the island to get teleported back to Rellekka. Or if you have 72 Magic, then use Waterbirth Teleport to teleport to Waterbirth Island when you arrive you will need to talk to Jarvald and head to Rellekka. Then just take the ship to Miscellania. 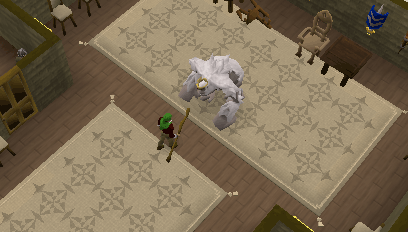 If you have a house in Rellekka (requires 30 Construction) use "House Teleport" (requires 40 Magic) and you will end up in your house. Exit your house, walk north to Rellekka and take the ship to Miscellania. 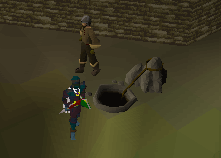 If you have completed Fairy Tale Part 2: Cure a Queen and are wielding a Dramen or Lunar Staff then you can use the fairy rings by using a combination of "AJR" you will end up outside the Fremennik Slayer Caves. Then head the trail to the west that will lead you to Rellekka. Or, by entering a combination of "CIP" you will end up just to the north of the Miscellanian Castle. 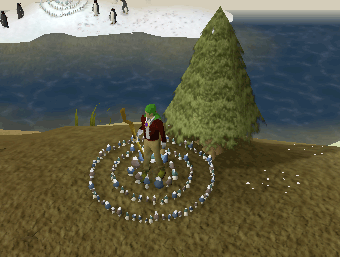 With level 83 Farming, you can plant a Spirit Tree which grants you a quick teleport from any other Spirit Trees, such as: Tree Gnome Stronghold, Tree Gnome Village, Khazard Battle Field and north of Varrock. Take note that you must also obtain the very rare spirit seed on your own, as it is untradable and also that this tree takes 2 and a half days to grow (61 Hours). For more information, consult the Farming guide. After teleporting, you will be on the island of Etceteria. To start the quest, you will need to head west until you reach the castle. Outside, there is a market where you can buy fish and vegetables. Note: Fish is only player stock. 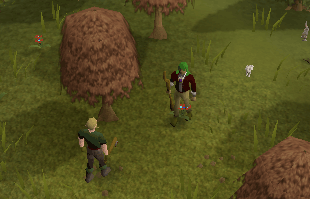 There is also a flower girl who is walking around who will sell you a set of 3 flowers for 15gp. If you walk into the castle, you can head up either staircase and then passed the guarded door into the throne room. Inside the throne room you will find King Vargas and Advisor Ghrim. You can start the quest Throne of Miscellania by talking to King Vargas and start the quest Royal Trouble by talking to Advisor Ghrim. Advisor Ghrim also plays a role in the Activity Managing Miscellania, as he is the one you can talk to to collect your gatherings, deposit money into the coffers, and give you advice/help you. If you walk south from the market then you will find a dungeon entrance. Here you can find some shops, which include a bar and a general store. You must complete the quest Royal Trouble to access it. Right outside the castle Gardener Gunnhild. You can help her and improve your approval rating by raking the patches. 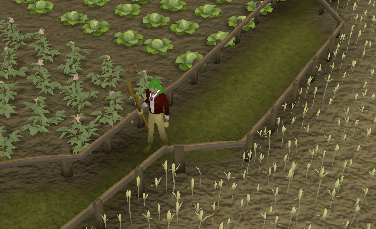 Here you can find two fields, one with potatoes and cabbage in it, and the other one with wheat in it. You can pick these to your hearts content. If you're running out of energy and want to gain it fast, or you just want to sit and enjoy the music, there is a Musician located between the fields and the maple trees. If you're not the gardening sort of type then you can come over to the maple trees and help out Lumberjack Leif by chopping down maple trees. You will not be able to keep the logs, but they do go towards raising your approval rating. 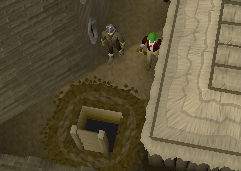 If you feel like helping out Miner Mangus, then you can stroll on over to attraction number seven: the coal mine. Filled with rocks of coal, just start picking away and your approval rating will be up in no time. 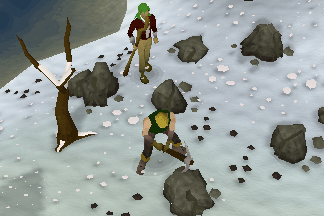 There is also an anvil next to the mine, which Derrik will allow you to use. If you travel to Miscellania by boat then this is probably the first thing you will see. Fisherman Frodi will be fishing at the dock, and you can go and help him by caging lobsters or harpooning swordfish. You cannot keep these, of course, but they do go towards raising your approval rating. 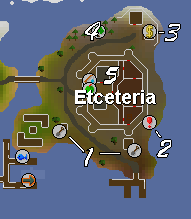 Getting to Etceteria is essentially the same as getting to Miscellania. 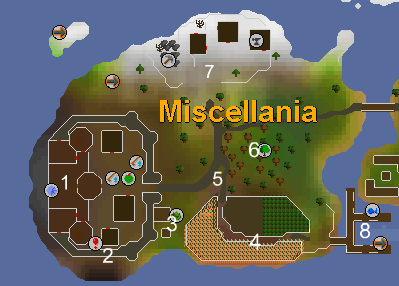 Once you arrive in the city of Miscellania, you can walk east to reach Etceteria. Just south of the castle, there are two farming patches: for bushes and spirit trees. South east of the castle, there is a small hole leading to a dungeon infested with non-aggressive "sea snake young" (level 90). And this cave is a part of the Royal Trouble Quest. Though you can't fight the giant sea snake again because the cave is blocked by rubble. 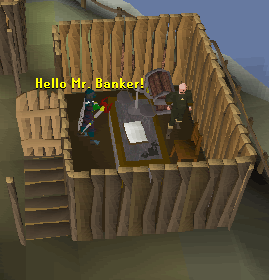 Nothing too magical about this place, other then the part there is only one banker instead of several, and it is rather small and it is located north of the castle. Here you can find a few mahogany trees and several teak trees, though sadly you can't cut them down, though they can be used to increase your approval rating. Located on the east of the island, the castle owned by Queen Sigrid has a marketplace outside, and Queen Sigrid is part of The Throne of Miscellania and Royal Trouble Quest. In the middle of Queen Sigrid's castle is a marketplace that sells fish, bait, vegetables and fishing gear. You can also steal from the shops, but it's not recommended as it will lower your approval rating.